The family of Lawrie Kowalski regretfully announce his sudden, unexpected passing on April 7th, 2019 at the age of 59 in Edmonton, AB. Lawrie was born, raised, and attended school in Dauphin, MB. He headed out west in the early 80’s finally settling in Edmonton where he resided until his passing. 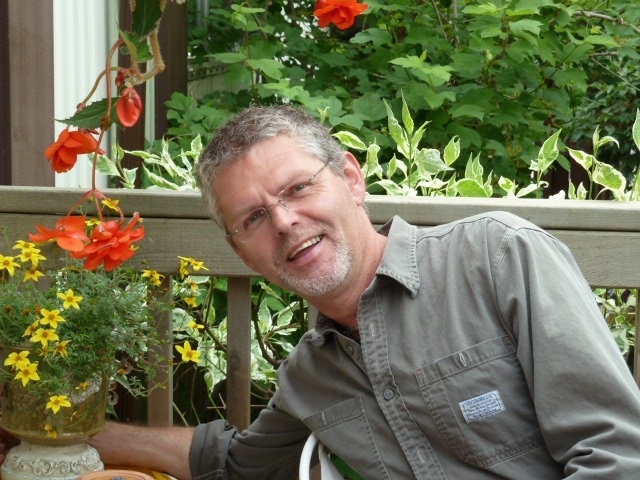 Lawrie took pride in his yard and loved to spend time outside working with his plants and trees. He absolutely had a green thumb. Any time there was a question about trees or plants he was always ready to offer some good solid advice. He loved to feed and watch the birds and squirrels out in his back yard. Lawrie loved to travel and spend time lying on the beach, chatting with the locals, and making new friends. Over the years only one special lady ever fully captured Lawrie’s heart; his one and only, beautiful, dark eyed Border Collie mix named Soupi. She was his faithful and loyal companion for many years. Lawrie always looked forward to and appreciated the “care packages” his mom sent him at Christmas which were filled with perogies and cabbage rolls. And every single year he would call his mom and ask how to cook the cabbage rolls. He was predeceased by his father Frank Kowalski. Left to cherish his memory is his son Justin Hodgson. His mother Minnie Kowalski, brothers Danny (Judy), Leon (Roseann), and Bill, and sisters Diane Nickolizen (Herb) and Lynn Peacock. As well as many nieces and nephews and great nieces and nephews. A memorial service will be held 2:00 pm Saturday, May 18, 2019 at Mountain View Christian Assembly with Pastor Scott Allen officiating. Rest in peace dear father, son, brother, uncle and friend.